Two goals in the final three minutes ensured that preseason superiority wasn’t claimed by either side in Córdoba after ten-man Belgrano immediately cancelled out what had looked like a Talleres winner. After the death of a Belgrano supporter last year during the clásico, there was a stress on the friendly nature of this fixture ahead of kickoff and aside from Cristian Lema’s red-card, there was little needle between the two sides. 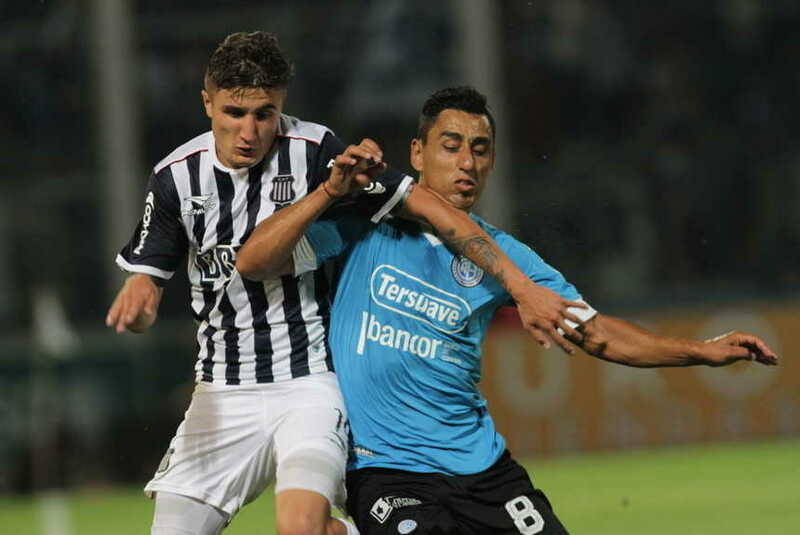 In fact there was little action for much of the 90 minutes with Talleres creating the better chances but Pablo Lavallén’s side proving as difficult to breakdown as they did in the first half of the Superliga season. Lema’s kung-fu style kick in the back of Nahuel Tenaglia saw the Belgrano defender see red and Talleres were able to capitalise. Emanuel Reynoso was tripped in the penalty box and although Lucas Acosta kept out Lucas Olaza’s spot kick, Jonathan Menéndez pounced on the rebound. La T looked to have stolen the bragging rights but Erik Godoy’s superb 89th minute header levelled it and with no penalties to decide a winner, honours were even.